The Gold Coast Mansions of Long Island offer exceptional opportunities for creative, elegant wedding pictures. In my thirty years of photographing weddings I have had the experience of capturing dynamic wedding photographs at all of the notable mansions just beyond New York City. From the Glen Cove Mansion to the deSeversky Mansion. From the Royalton Mansion to Oheka Castle. From Coe Hall at Planting Field Arboretum to Mill Neck Manor. From the Bourne Mansion to the Vanderbilt mansion. From the mansion at Old Westbury gardens to this location adjacent to the estate on the grounds of C.W. Post college. 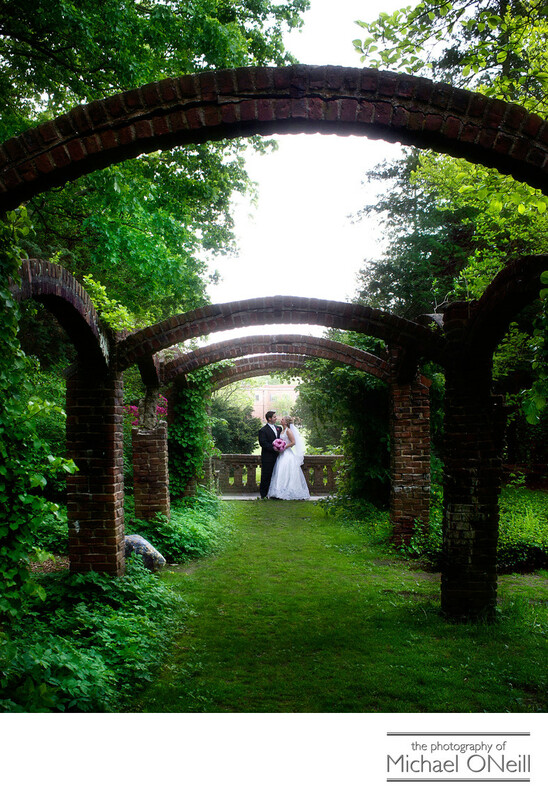 Nassau county New York is home to some of the most renowned estates in the world and naturally serves as an epicenter of elegant estate weddings. From the vintage architecture to the world class service these establishments cater some of the finest celebrations anywhere in the world. As a native Long Islander I have garnered much experience over the years at each and every one of these remarkable places.